Chenel d Haiti copper pin. 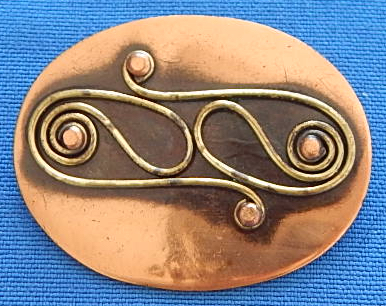 2" x 1 1/2"
Renoir copper belt, fits a 28" waist or smaller! Excellent condition. 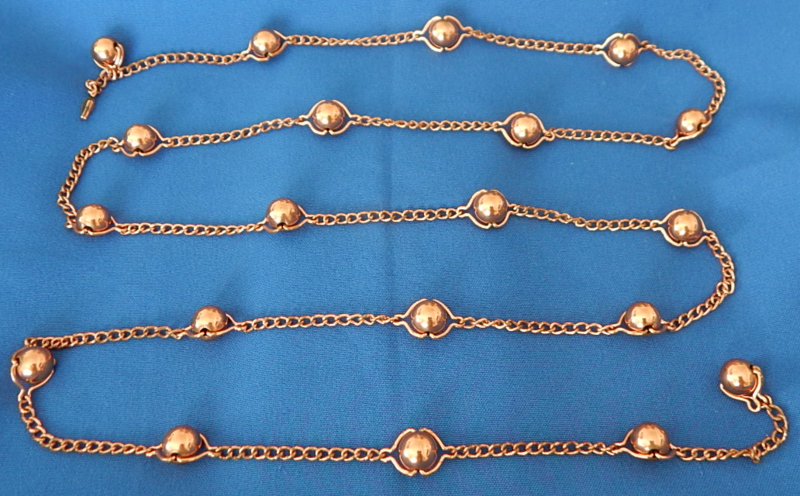 Renoir Copper Chain Belt 54". Excellent condition, a must buy. 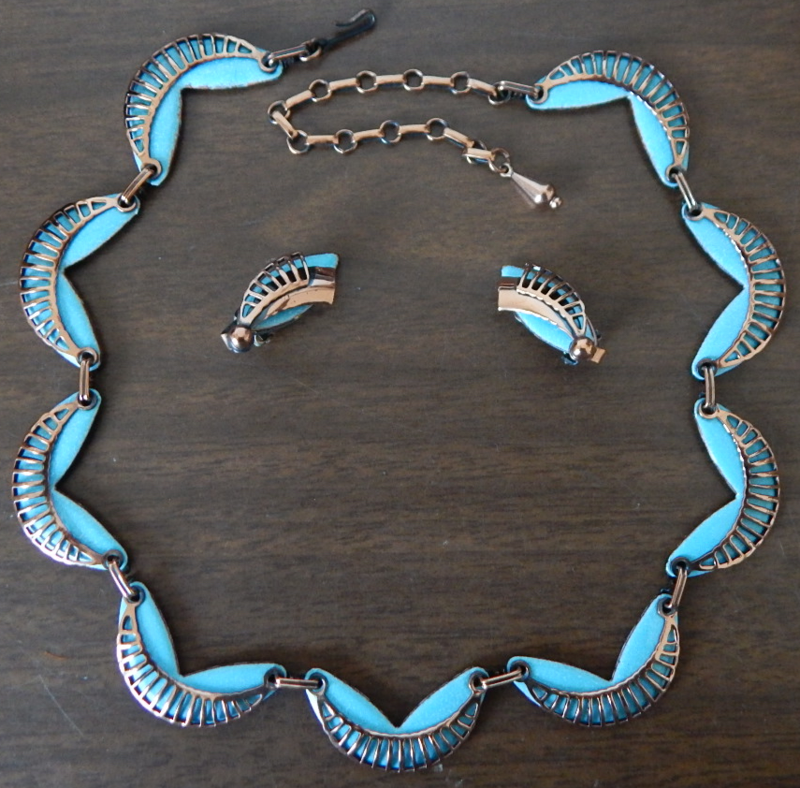 Matisse copper enamel necklace earrings set. Excellent condition, gallery favorite. 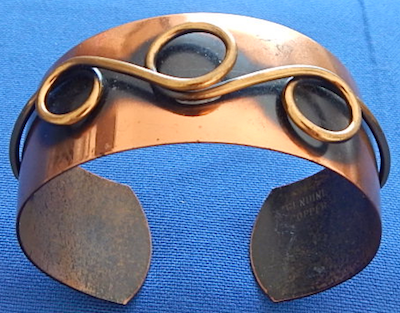 Copper 1" Cuff vintage Haiti not signed. Small enamel copper pin, 1 1/8" x 1 1/8". 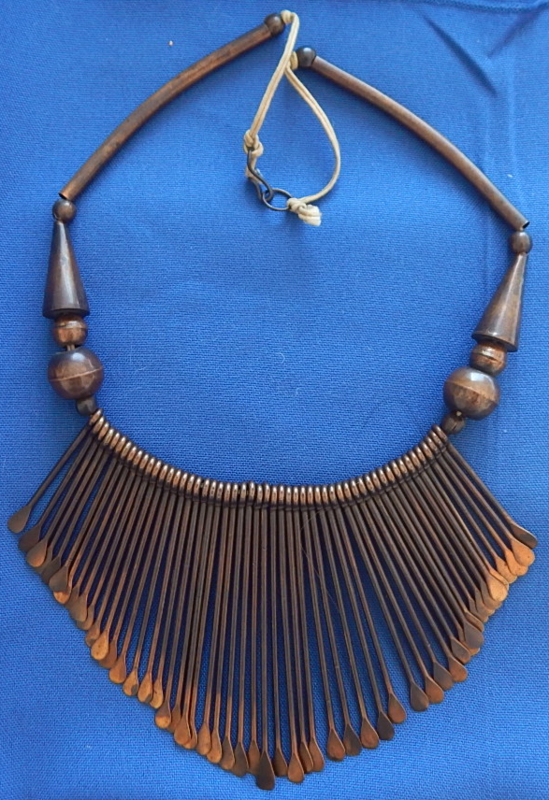 Artisan made unique copper Necklace. 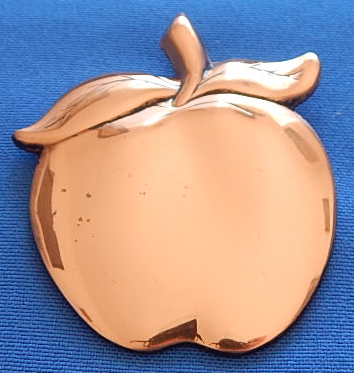 Big Copper Apple Pendant. 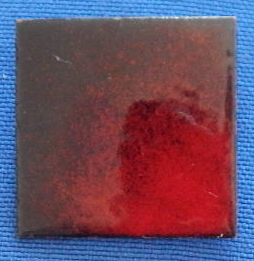 2" x 2.5". Beautiful. 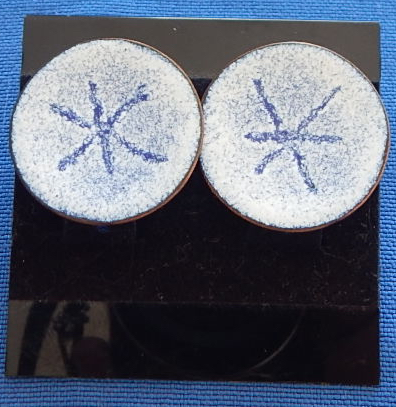 Enamel copper 1" dish screwback earrings. 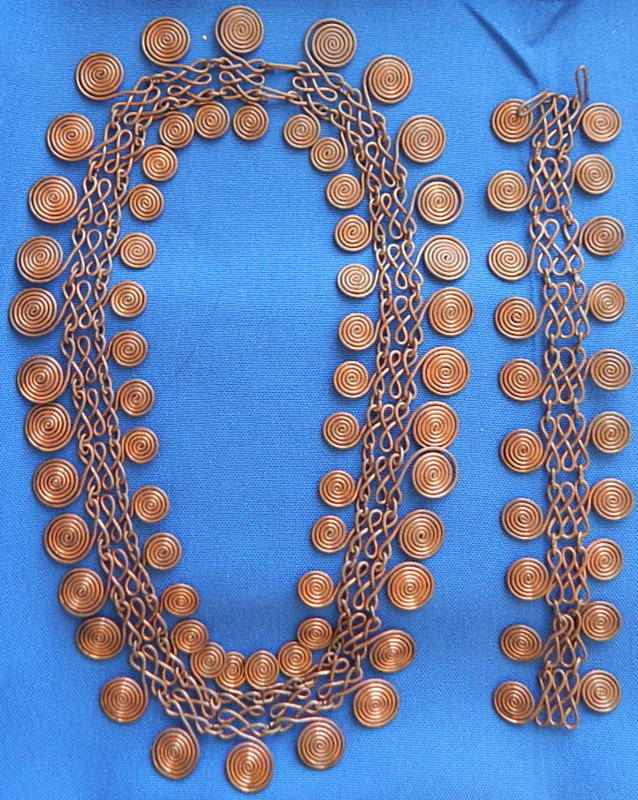 Vintage copper artisan made wire wrap necklace & bracelet. OUTSTANDING.